It's been one of the hottest subjects in American club football over the past half a year. 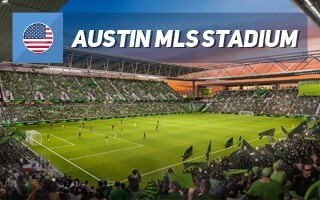 Ever since Anthony Precourt announced he wants to relocate Columbus Crew to Texas and rebrand the franchise, fans across MLS have been expressing their displeasure with such move. Usually in American sports such threats are part of a power play with local authorities, pushing them to give more to the sports team. 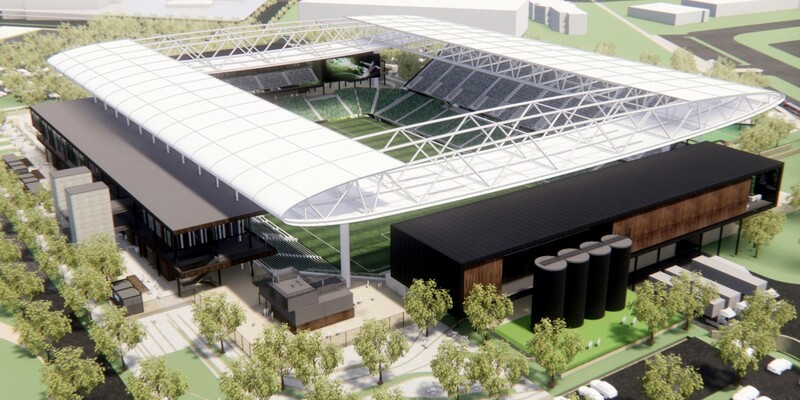 It was also partly true for Columbus, where Precourt got bored with the aging MAPFRE Stadium and asked for a new downtown venue or else he'd move to Austin. While the entire strategy is regrettable, it seems the son of a billionaire is serious in his attempt to move the franchise to Texas. He's already been sued by the Ohio attorney general and city of Columbus, but still claims he'd like to build a new team as soon as possible and see them play at a purpose-built stadium in 2021. 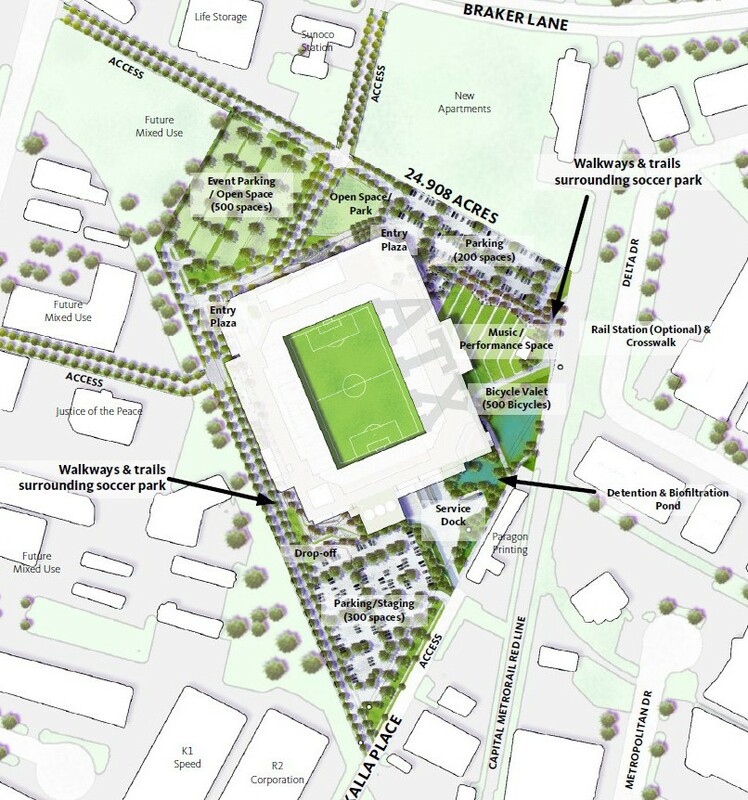 Now we know where the stadium might be built and how it might, at least roughly, look. 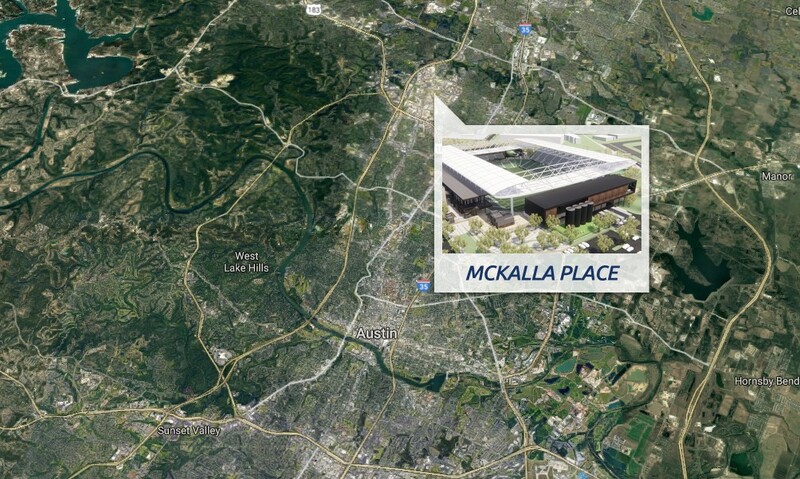 Designed by Gensler (in cooperation with CAA ICON and TBG), the new football-specific stadium in Austin would be built along McKalla Place, in a post-industrial area, north of the centre. It's considered the most viable location throughout the metropolis, with 100,000 m2 of space available, enough to fit a 20,000-seat stadium and 1,000 parking spaces, accompanied by public green areas. Within 20-minute walk there should be 10,000 parking spaces in total, while public transport options include light rail and bus. The entirety is promised to cost no more than $200 million and would be funded entirely privately. Once delivered on public land, the stadium would be transferred to the municipality and leased by the tenant team. 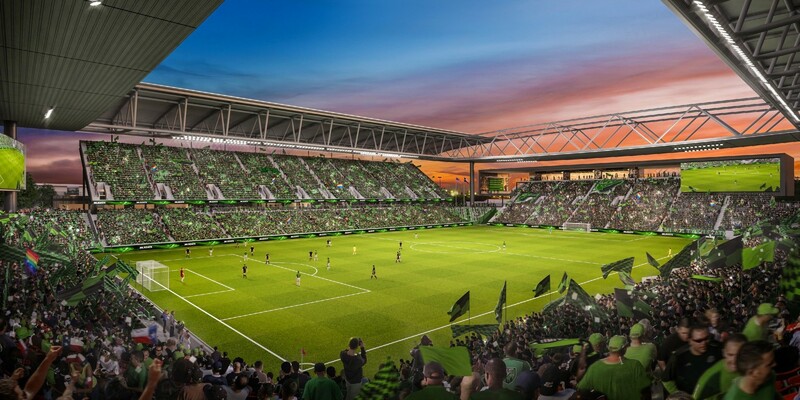 Whether this is indeed how the financial structure would look remains unclear and will depend on negotiations with the city of Austin, who have only received the 189-page bid from Precourt Sports Ventures.